Both Nutrisystem and Jenny Craig are very popular and effective diet programs in the industry. They both have been successful in helping their customers to achieve weight loss successfully. This article is going to compare both Nutrisystem and Jenny Craig’s features, benefits and others. Nutrisystem is an easy-to-follow and effective diet program, and offers great convenience to its users. Individuals who do not like determine the calorie requirements, plan the diet, shop for the groceries and cook meals will definitely love Nutrisystem’s diet plans. All you will do is simple choose your menu choice from its official website and reheat the pre-prepared and packaged microwavable pouches just before consuming the meals. Nutrisystem takes care of all the calorie counting and cooking part for you. Jenny Craig is a California based dietary provider, which was founded in the year 1983 by Sydney Craig and Jenny Craig in Melbourne, Australia. Later on, in the year 1985 the provider moved from there to the US. The company is associated with the famous Nestle Nutrition. Service Nutrisystem offers its dietary service through online, and do not have centres anywhere. It offers you the convenience of ordering the diet plans online just sitting at home. You will have the meals delivered to your doorstep soon so that you can kick start your diet routine immediately. Jenny Craig offers its services both online, as well as in its dietary centres located in some of the places in the US. Contract Nutrisystem does not require any contract from you. So, you can quit its services anytime you like. It also allows you to purchase just one meal per order. Jenny Craig wants commitment from you in the form of contract on how long you are going to use its services. So, you have to stick to the program throughout the period though you wish to quit it at a point of time. Diet Plans Nutrisystem provides different diet plans for men, women, vegetarians, diabetic patients, senior citizens, and others believing that different individuals have different diet requirements. So, you can choose diet plans as per your requirements. Diet plans at Nutrisystem are customizable. Jenny Craig provides different plans for men and women, as well as according to your age group. However, it does not offer any vegetarian or diabetic diet plans. If you require vegetarian meals particularly, you need to visit your nearest Jenny Craig’s centre. 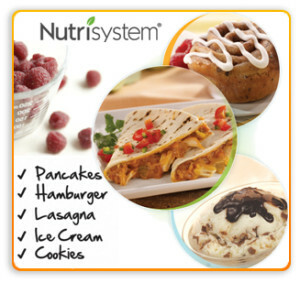 Menu Nutrisystem has more than 150 items in its menu. You can find almost all the everyday foods at Nutrisystem which are given a diet twist so that you do not need to worry about heavy calories. You have 80 times menu choice to choose from. Most of them are not everyday foods. Meals Nutrisystem diet plans include 5 portioned-meals per day, plus snacks and desserts. It includes 5 meals per day. Taste Most of the online reviews and testimonials shared by real users claim that food at Nutrisystem tastes too good. Also, you have the chance of tasting the meals before ordering in bulk, because Nutrisystem is offering the users to buy the meals in single packs as well. The meals are exactly like the regular diet meals that not offer good taste. Also, the menu includes repetitive items so you will get bored to have the same again and again. However, if you can accustom with the taste, Jenny Craig meals can help you lose weight effectively. Snacks and Desserts Nutrisystem has a great range of snacks and desserts varieties in its menu. So, you do not have to stick just to meals in order to lose weight. You can snack during afternoons and evenings just like a normal individual. Jenny Craig does not have snacks choice in its menu. All that you need to eat are just meals. Risk-Free Guarantee Nutrisystem is offering 14-day risk-free guarantee. So, if you are unhappy with its service, you can send the unused packs to get the money back. No risk-free guarantee is offered. Both Nutrisystem and Jenny Craig have been successful in offering its clients with good weight loss. However, Nutrisystem has been proven to offer more effective and quicker weight loss results. Customer reviews are direct proof for the same. Nutrisystem seems to be performing greatly in terms of experience, meal choices, support tools, customizing the menu, dietary counseling, and a few more. Another important aspect about Nutrisystem diet meals is that they are tastier and provides a wider menu option, and you will never feel that you are following a diet plan.